FAQs | Helpful answers for those heading to Wembley! With Wembley packages flying off of the shelves, we thought it would be useful to put together a set of FAQ’s to help our fans with any questions they have. When does the game kick-off? What time are the coaches leaving? The coaches will be departing from your specified pick-up point at approximately 8am – exact times will be confirmed closer to the time. Will we be sat together on the coaches and at Wembley? If you have booked your tickets together, or have specified when booking that you would like to be alongside someone, then you will be seated as requested. When will the shirts be in the shops? 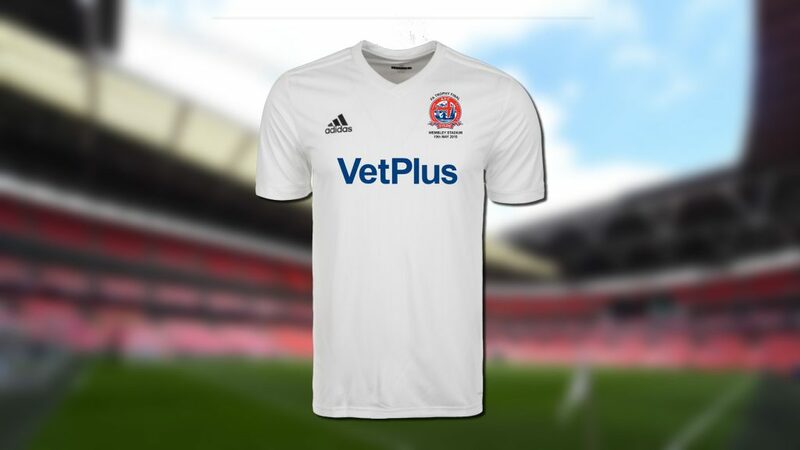 The new AFC Fylde Adidas shirts will be in store for the Barnet game (19th April) at the latest. Keep an eye on club communication channels, as more info will be communicated when confirmed. When will I be able to collect the packages I’ve bought? Wembley packages, and individual tickets, will be available to collect from Mill Farm and the Lytham shop from Monday April 29th. What are the arrangements for disabled and carers at Wembley? Ambulant disabled and carer tickets will need to book directly through The FA, by contacting them on 0844 9808200. What hospitality packages are available to fans? We have a limited amount of hospitality available for our fans to purchase, which includes private boxes from 8-20 people. Further to this, you can check out our exclusive VIP hospitality offering online, which includes executive travel, hotel bookings, and more. 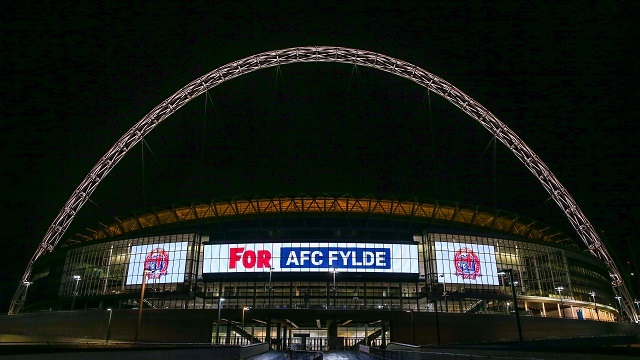 For more on this, please get in touch with Bethany.Hushon@AFCFylde.co.uk. ◂ TRAVEL | Salford supporters coach on sale now!